A young boy ventures into the forest in search of mysterious creatures that eat sheep, in this delightfully creepy Scandinavian Gothic fable from Jonas Matzow Gulbrandsen. Valley of Shadows is directed by Jonas Matzow Gulbrandsen and was released on Oct 20th, 2017. 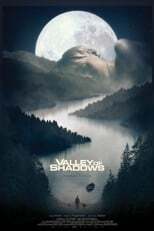 Director Jonas Matzow Gulbrandsen's Horror & Drama movie Valley of Shadows is produced by Films Farms & Them Girls Film & was released 2017-10-20.